From horror flicks to children’s stories, have you ever wished you could explore some of the famous fictional worlds brought to life in film? Well, it appears for some of them, you can! Saunter through the Shire, admire the Grand Budapest Hotel or even discover the picturesque world of Pandora. Here are our favourite locations that inspired some of the world’s greatest films. Disney/Pixar’s motion picture, Up, portrays breath-taking views of a fantasy world, Paradise Falls. The elderly protagonist, Carl Frederickson, travels here with hundreds of balloons tied to his house and eight-year-old Russell in tow. 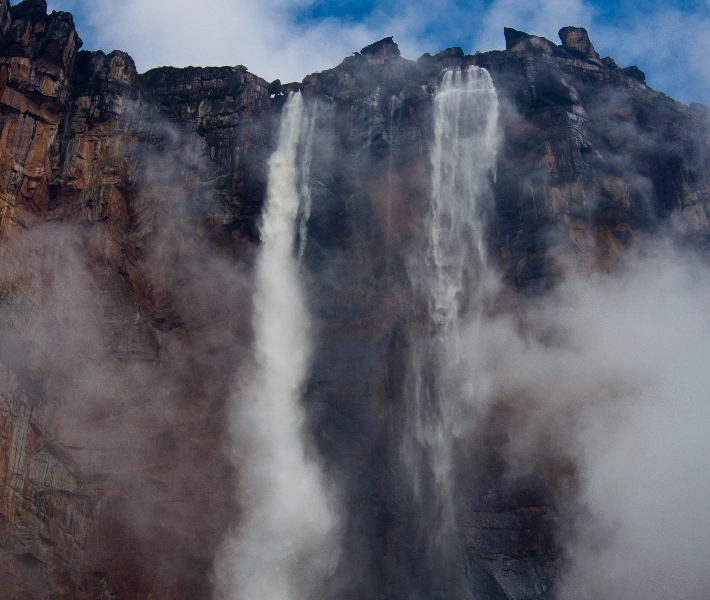 Though Paradise Falls is non-existent, directors have said they modelled the location on Venezuela’s Angel Falls and its surrounding table-top mountain landscape. The animation team even travelled to the area and spent three days sketching to perfect the landscape depicted in the Academy Award-winning film. 35 years ago, taking a swim at the beach in Cape Cod changed forever when Steven Spielberg’s summer blockbuster, Jaws, hit cinema screens. 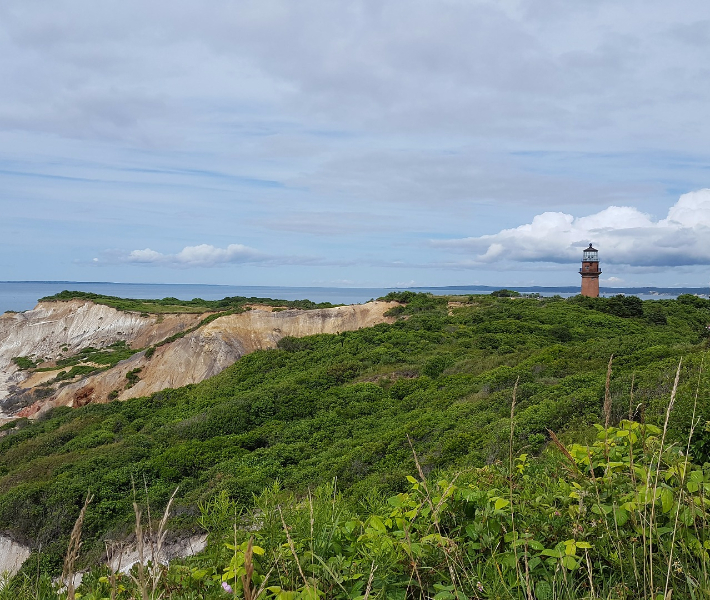 Martha’s Vineyard was transformed into the fictional island of Amity for this 1975 classic, with many locals featured as extras. With many hot-spots for the film, the area celebrated the 30th anniversary of the film’s release with JAWSfest, a three-day festival with an open-air screening of the thriller itself. You can visit here year-round to see the sights – just don’t go into the water! 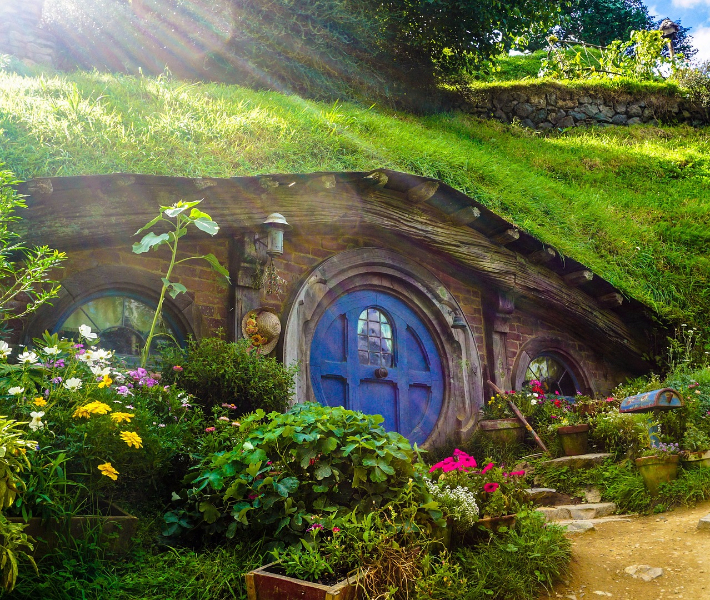 Amidst the rolling hills and working farms of the Waikato region of New Zealand, Peter Jackson imagined the set of The Shire in the Lord of the Rings trilogy. Now one of the most famous film sets to visit, the tidy hedgerows, pristine pathways and tended gardens have been transformed into Hobbiton. Jackson discovered the farm in 1998, during an aerial search for filming locations for the trilogy. Upon seeing the fantastic views, free from modernisation, he recreated the home of the Hobbits from the popular J.R.R Tolkien novels. 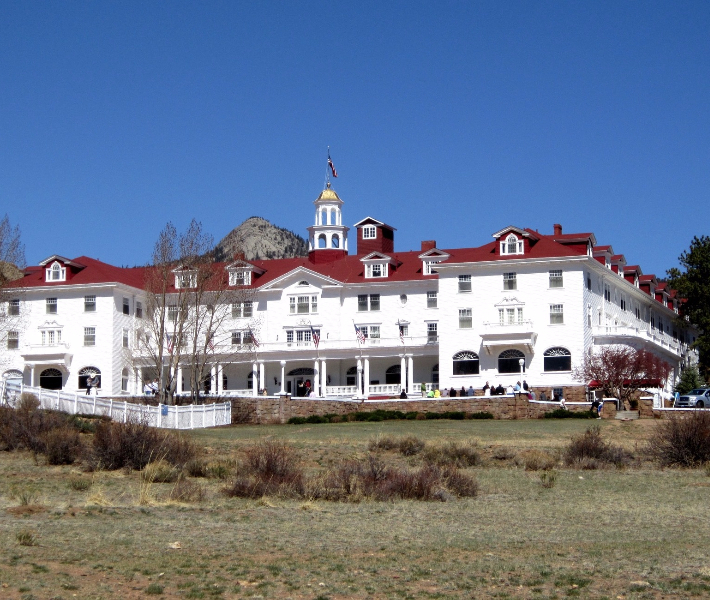 After an unsettling stay at the Stanley Hotel, on the outskirts of the Rocky Mountain national park, Stephen King began to form the plot for the novel, The Shining. During the stay, King and his wife found they were the only guests in the 142-room hotel, spending dinner eating alone and wandering the quiet, empty corridors in the evening. Taking inspiration for the fictional Overlook Hotel, it is clear to see how this isolation helped shape the themes and drama of the thriller. The original hotel even offers ghost tours for visitors to relive their favourite scenes. 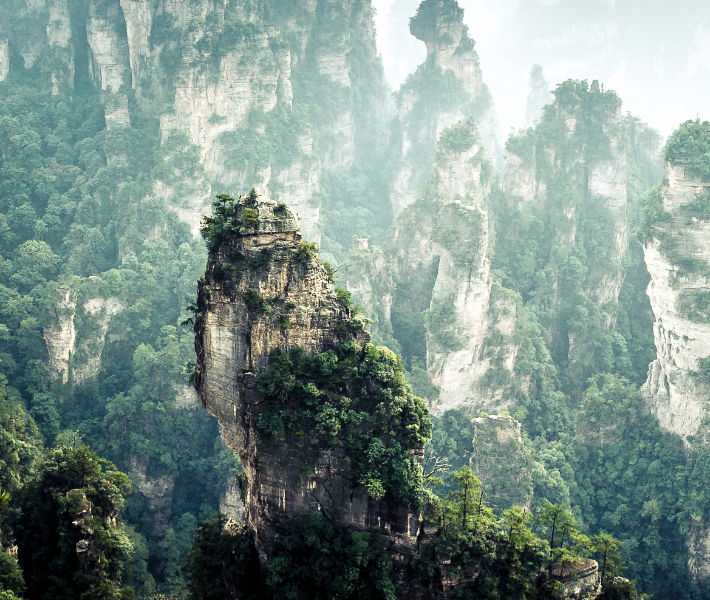 Sweeping between the Hallelujah Mountains of Pandora, it is clear to see how James Cameron’s Avatar was inspired by the landscape of Zhangjiajie National Forest Park. The sandstone columns tower over the tropical forests, creating a dense stone jungle that pierces the clouds above. Due to the success of the film, a 1,080-metre pillar has since been renamed Avatar Hallelujah Mountain in honour of the film. See the views for yourself at the 4,810-hectare park, part of the UNESCO World Heritage Site, Wulingyuan Scenic and Historic Area. Wes Anderson’s Oscar-winning film, The Grand Budapest Hotel, makes us all want to stay in the regal and refined rooms of this establishment. Sadly, the hotel itself is a miniature model built for filming, so there are no vacancies, but you can visit the very place where inspiration struck for the design team. 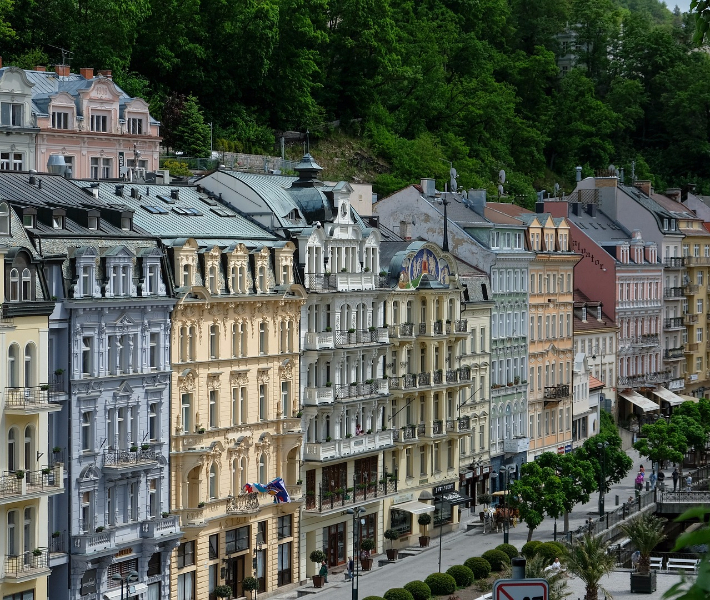 Set designer, Adam Stockhousen, advises there are many visual references to the city of Karlovy Vary in the Czech Republic. From the funicular train and pastel-coloured buildings, to the Hotel Imperial featured on the hill and chamois statue which sits on Jeleni Akok cliff, you will find countless inspirations for Anderson’s film. 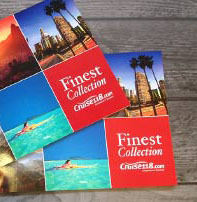 With so many destinations to discover and plenty more regions that have made their way into feature films, explore the world with Cruise118.com and see which cinematic region you could visit next!